"Four of the measures linked to the third and final tranche of this MFA currently remain outstanding." 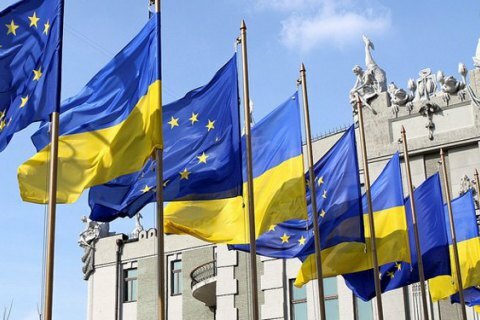 The European Union says it "is not in the position" to give Ukraine the third tranche of 600 mn euros of macro-financial assistance but is ready to discuss a new program, reads a communiqué by the European Commission on Friday, December 1. "As regards the third and final tranche of MFA, Ukraine has fulfilled a large share of the policy commitments agreed with the EU. This includes important measures to increase transparency in public finance management; to launch public administration, judicial and governance reform; to advance ongoing reforms of the energy sectors, improve the business environment and reinforce social safety nets. These structural reforms will benefit Ukraine's citizens, which is the ultimate objective of the EU's assistance," reads the EC release. However, "four of the measures linked to the third and final tranche of this MFA currently remain outstanding. Against this background, the Commission is not in a position to disburse the last tranche of the current MFA programme," the European Commission said. The Commission said it encouraged Ukraine to maintain the reform momentum in the many areas that have progressed well, and complete the measures outstanding under the current programme, with the support of all stakeholders. Ukraine has so far benefitted from a total of €2.81 bn worth of EU MFA loans since the onset of the crisis in early 2014. This includes €1.61 bn disbursed in 2014–2015 as part of two earlier MFA operations, and €1.2 bn as part of the third, ongoing operation.